The American Health Council is proud to recognize Richard Lindstrom, MD for “Best in Medicine” for his outstanding contributions to the medical field. Currently, an attending surgeon at Minnesota Eye Consultants — an organization he founded in 1983 — in Minneapolis, Minn., Dr. Lindstrom has dedicated more than 27 years to providing vision procedures and treatments for patients in the Minneapolis area. Throughout a 46-year career, he has expanded and perfected his skills and knowledge in refractive surgery, cataract, biology, laser surgery and ophthalmology. After a professor invited him to join a research project, Dr. Lindstrom’s interest in pursuing a career as an ophthalmologist heightened. After receiving a medical degree from the University of Minnesota Medical School in 1972, he completed an internship at the Abbott Northwestern Hospital – Allina Health System. He subsequently finished an ophthalmology residency at the University of Minnesota at Fairview, and after receiving a board certification from the American Board of Ophthalmology, he immediately began applying his skills to the medical field. Dr. Lindstrom’s career quickly boomed as he became an adjunct professor at the University of Minnesota’s Department of Ophthalmology in 1979. That same year, he became the associate medical director of Minnesota Lions Eye Bank, and by 1983, he founded Minnesota Eye Consultants where he has since administered careful care to hundreds of patients. He conducts clinical work, research and administrative and executive leadership duties to ensure that functions run smoothly and properly. His impressive professional repertoire includes a variety of leadership roles, including serving as a former president of the International Society of Refractive Surgery, the International Intraocular Implant Club and the International Refractive Surgery Club. He is a board member of the University of Minnesota Foundation, the Vision Foundation, the Minnesota Eye Foundation and the Inner City Tennis. 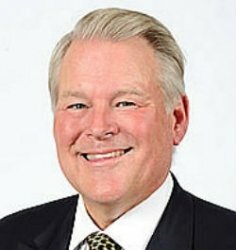 He also serves as a chairman and CEO of Lindstrom Cleaning and Construction, and is a global education liaison of the International Society of Refractive Surgery of the American Academy of Ophthalmology. To commemorate his outstanding work ethic, Dr. Lindstrom was named on the America’s Top Doctors list in 2002 for 12 consecutive years. He was also awarded the Ophthalmology Innovation Summit Lifetime Award in 2015, the NACT from the Eye Bank Association of America, a Paton Award and the Binkhorst Lecture Award from the American Society of Cataract and Refractive Surgery. Among his plethora of achievements, Dr. Lindstrom is very proud to have trained over 80 fellows. He is also very proud to hold over 38 patents in ophthalmology, presented over 40 named lectures and keynote speeches, published over 350 peer-reviewed journal articles and over 60 book chapters. Additionally, Dr. Lindstrom is a member of Cataract Surgery and Refractive Surgeons. In his free time, he enjoys maintaining an active lifestyle by playing golf, tennis, boating, skiing, hunting and fishing. He attributes his success to possessing a strong work ethic, going the extra mile and absorbing knowledge from his extensive training. He plans to maintain his success by continuing to make contributions to the field of ophthalmology. Minnesota Eye Consultants is a dynamic organization of respected clinical eye care providers and supporting staff with extraordinary educational and professional credentials, who are passionate about patient care and dedicated to improving quality of life through life-changing vision procedures and treatments. Its focus: to define, develop and pursue the best possible technologies, practices and services to respond to patients’ needs and improve the potential for best-possible vision. The focus on research and education at Minnesota Eye Consultants is illustrated by its leadership in teaching and training other ophthalmologists and promising medical students. President of the International Society of Refractive Surgery, the International Intraocular Implant Cluband the International Refractive Surgery Club. Board member of the University of Minnesota Foundation, the Vision Foundation, the Minnesota Eye Foundation and the Inner City Tennis. Global education liaison of the International Society of Refractive Surgery of the American Academy of Ophthalmology.